Contact Sarita Computers, we love to hear from you! 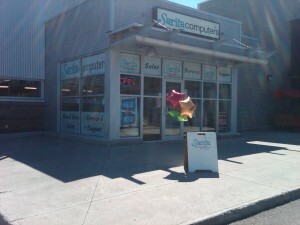 There are many ways to stay in touch with Sarita Computers if you can’t make it into our store every day. Our Facebook page is loaded with great information on the latest flash sales and happenings around the store. Or simply stop by our location at 5232a Domano Blvd in Prince George (Map Link). We’re always happy to see you and eager to help.